Some Things Love the Heat! 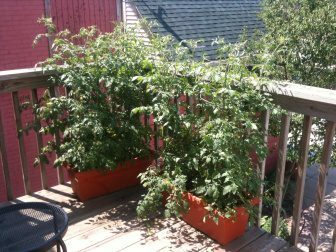 We may all be seeking air conditioning, but these tomato plants on the back deck at the agency are loving this 100 degree weather. As long as we keep them well watered, of course! PreviousPrevious post:Keep Safe from the HeatNextNext post:Umbrellas are not just for shielding the rain anymore!